This work uses the pink triangle that was affixed to homosexuals who were sent with the Jews to the Nazi concentration camps. While the number of homosexuals in German concentration camps is hard to estimate, Richard Plant* gives a rough estimate of the number of men convicted for homosexuality at between 50,000 and 63,000. By the end of the 1970s, the pink triangle was used as a symbol for gay rights protest. The gay community adapted use of the symbol to “own it” and turn it into an emblem of Pride. 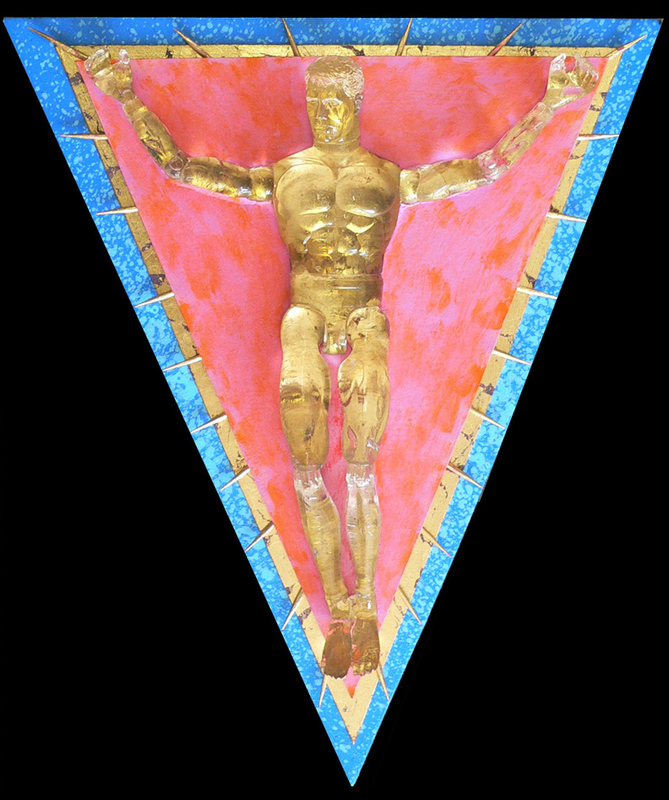 This work uses the pink triangle as a bright joyous color with rays of light and gold leaf. The combination of the two express both the joy and the pain of homosexual history.